Value can vary greatly from one diamond to another. 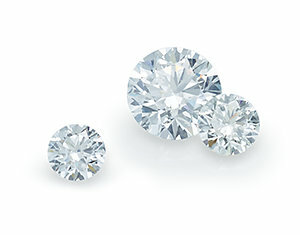 This value is determined based on the four Cs of cut, colour, clarity, and carat weight. All gem-quality diamonds are rare, taking billions of years for nature to form them. The journey from the mine to you is long and arduous. While the four C's information helps you to identify the quality of the diamond you are purchasing, it is the combination of these four characteristics which determine a diamond's rarity. If you imagine a four-sided pyramid, with each side being a diamond characteristic, the base of the pyramid constitutes the more readily available diamonds, while the rarest diamonds are at the top. Keep this pyramid in mind when you are selecting your diamond. Your selection of characteristics will determine rarity and value. But more importantly, beauty is in the eye of the beholder. A diamond can only be truly perfect if you think it is beautifully perfect for you. When people think of cut, they often think it’s the shape of the diamond. But, it’s about how light is returned due to a diamond’s facets. The cut is responsible for brilliance, fire, and scintillation of a diamond. Brilliance is the combination of all of the white light reflected from the surface and the inside of the diamond. Fire are flashes of colour you see in a polished diamond. Scintillation is flashes of light you see when the diamond, the light, or the observer moves. The illustration arrows indicate one a path the light may be reflected. A diamond’s colour is measured using the GIA® D-to-Z diamond colour grading system. This system is the most widely accepted for grading. All diamonds are evaluated based on the absence of colour. This lack of colour is measured in degrees based on comparisons with master stones, made while viewing under controlled lighting and conditions. This means that regardless of where in the world the diamond is graded it will be under the same conditions and should receive the same grade. You may see the distinction of colour when you compare diamond but the full-colour distinctions are invisible to the untrained eye and should be left to a trained diamond grader. D, E, & F are considered "Colorless" by profession diamond graders. Just as a diamond’s colour is graded on the absence of colour, the diamond’s clarity is graded on the absence of inclusions and blemishes. Internal characteristics are identified as inclusions (Internal characteristics = Inclusions). External characteristics are identified as blemishes (External characteristics = blemishes). Most are smaller than can be seen by the unaided eye but are revealed through accurate professional assessment. Trained diamond graders evaluate the quantity, size, relief, nature, the position of these characteristics, and how they affect the appearance of the diamond. Flawless (FL), No internal or external flaws. Internally Flawless (IF), No internal flaws. Very, very slightly included (VVS) are very difficult to see inclusions under 10X magnification. Included (I) inclusions are visible with the unaided eye. 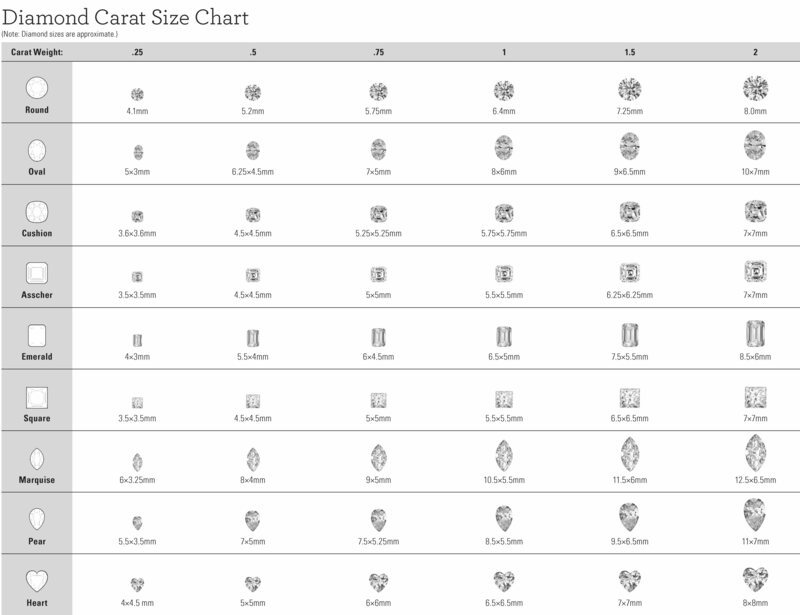 In addition to colour, cut, and clarity, carat weight directly correlates to the price of the diamond. This happens because the supply is low, where a diamond attribute like larger is rarer, and demand is high. Popularity and limited supply both dominate pricing. Ready to Buy a Diamond?